One pair snagged a couple of short signals while the other had none. Was this mechanical trading strategy able to close in the green? 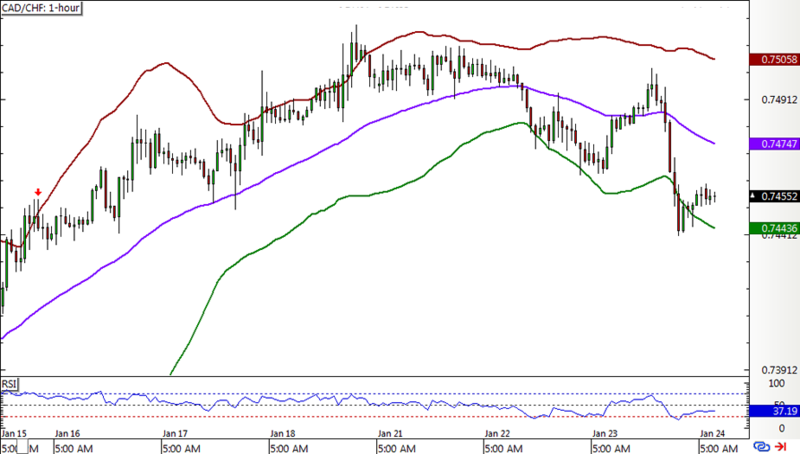 USD/CAD had a fresh short position to start the week, and this was able to hit the first and second targets at the middle and opposite bands, respectively. 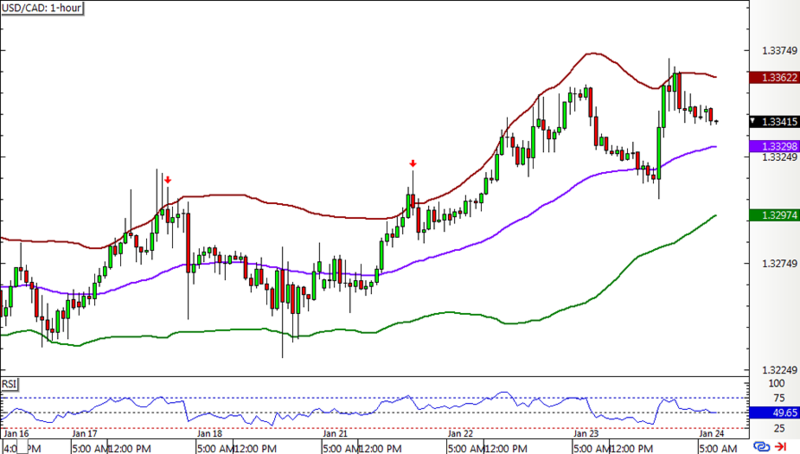 Another short signal followed as price once again tested the top band. Unfortunately, there wasn’t much bearish energy left and the pair kept climbing until it hit the stop. CAD/CHF had a short position left open in the earlier update. Unfortunately this hit the stop loss on a spike higher before dipping down to the middle band. The pair didn’t catch any new signals for the week, so it’s rounding out with a full loss, too. Ouch! In total, the Short-Term Bollinger Reversion strategy is ending up with an 87-pip dent or a 1.26% loss. That makes a bit of a rough start for this year as the system had a small loss to start and barely enough gains in the following week to recover. The latest weekly loss digs a much deeper hole, but I’m hopeful it can maintain its good track record. Don’t forget to check out my Q4 2018 review!